The ACCEL Program is a summer fellowship at the axis between communication and policy for students and young professionals in North America and Europe. The program aims to train the next generation of “Arctic Ambassadors” while raising awareness amongst young people about Arctic issues using intuitive, easy-to-understand mediums such as videos, infographics, and blogs. In 2014, ACCEL selected two fellows representing North America and Europe: Dayanita Ramesh (USA) and Eleonora Milazzo (Italy). They were selected via an online competition that engaged over 23,000 voters. Over the course of the summer, fellows produced a publically available “Arctic 101” online course in collaboration with the Potsdam Institute and Ecologic Institute’s Arctic Summer College. Arctic 101 will feature a series of articles, educational videos, interviews, events, and a breakout session about youth perspectives at the Arctic Circle Conference in Reykjavik, Iceland. 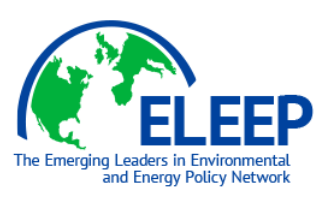 The program is an initiative of the Emerging Leaders in Energy and Environmental Policy Network (ELEEP), a transatlantic network of energy and environmental policy leaders founded in 2011 by the Atlantic Council and Ecologic Institute. ACCEL is funded by the Allianz Foundation for North America, Robert Bosch Stiftung, and European Union.